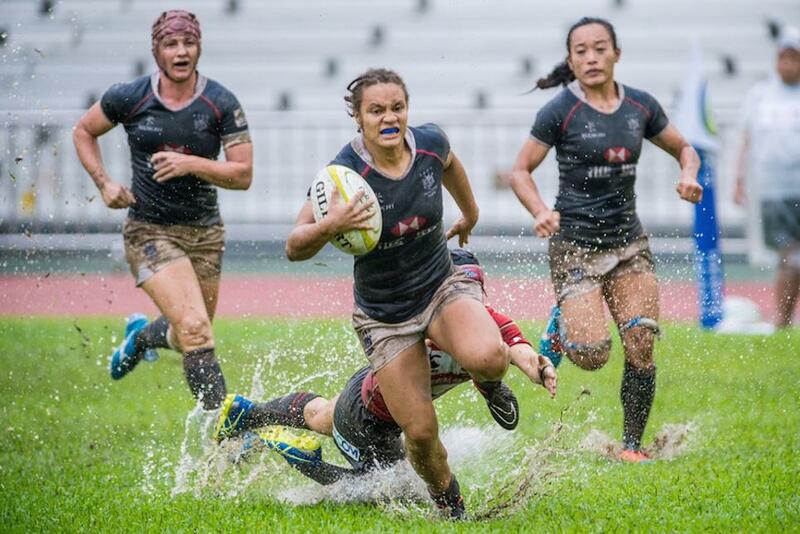 Japan belied the wet conditions to beat Hong Kong and lift the Asia Women's Rugby Championship title for the first time. Japan’s women created a piece of history on Saturday after being crowned Asian women’s 15s champions following a 27-12 win over hosts Hong Kong at the Aberdeen Stadium. Kazakhstan have long been Asia’s leading women’s team have been the region’s representatives in the last three Women’s Rugby World Cup events. But they lost 27-12 to Japan in Fukuoka a fortnight ago to leave their conquerors level on points but with a game still to go against Hong Kong. In a hard-fought encounter played in testing and difficult conditions, Japan ran in five tries to seal the title in front of a vocal crowd that defied the poor weather that would force the men’s match between the two nations to be abandoned later in the day. Japan number eight Mateitoga Bogidraumainadave was the standout performer on a day when a number of players from both sides caught the eye. The number eight scored three of Japan’s tries and ultimately proved to be the difference between the two sides. “It feels awesome and still hasn't sunk in,” she said afterwards. Japan had three players sent to the sin bin in the second half, including Bogidraumainadave, but they kept their discipline and tackled bravely while players down. Full-back Adrienne Garvey was the pick of the Hong Kong players, creating tries for Ivy Kwong Sau Yan and Natasha Olson-Thorne, but Japan, led by their own full-back Ai Tasaka – who had shone in the win against Kazakhstan – maintained their composure for the win. The home team defended bravely and trailed 15-12 entering the last quarter before the Japanese ran in two tries in the dying minutes to clinch victory. "It feels awesome and still hasn't sunk in." Maki Takano scored Japan's first try before the victory was wrapped up by Emi Ito, who raced 55 metres for a try following yet another good catch and counter-attack from Tasaka. “In the first half we were a little bit nervous,” said Japan coach Goshi Arimizu, whose side contained four teenagers in the backs. Japan’s win represents a seismic shift in Asian women’s 15s with defending and perennial champions Kazakhstan unseated to finish as runners-up while Hong Kong claimed third spot.